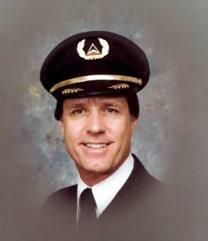 PCN Flight West: DL Capt. John William Richards Jr.
DL Capt. John William Richards Jr.
After he built this Christen Eagle in his basement, for an owner in Oregon, John Richards and wife Bernadette flew it across the country. John W. Richards, age 81, a resident of Sandy Springs, Georgia passed away on July 10, 2016. John was born in Merrick, New York. Flying was his passion. He had a 35-year career as a pilot with Delta Airlines and for fun, he built a Christen Eagle stunt bi-plane in his basement which he and Bernadette, his wife and love of 55 years flew across the country. 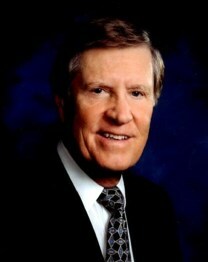 A member of Cherokee Town and Country Club, John was an avid golfer, loved to sail and was beating much younger racquetball players well into his 70's. Preceded in death by his parents, John and Victoria Richards and sister, Fran McNamee. Visitation is scheduled for Thursday, July 14, 2016 from 5:00 P.M. to 8:00 P.M. at Roswell Funeral Home, 950 Mansell Road, Roswell, Georgia 30076. Funeral Service is scheduled for 10:30 A.M. on Friday, July 15, 2016 at St. Andrews Catholic Church, 675 Riverside Road, Roswell, Georgia 30075. 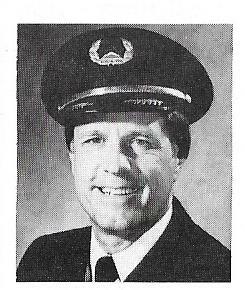 News has reached our group with the passing of Delta Golden Wings member retired Delta pilot Captain John William Richards Jr., nearing his 82nd birthday at the time of his passing Sunday evening. Arrangements are under the direction of Roswell Funeral Home of Roswell, Georgia. Thanks to retired ATL DL Captain John Pilger for sending the sad news of the death of retired ATL DL Captain John W. Richards. John William Richards, Jr. was born 7/23/1934 and hired by DL 10/9/1959. He was based in ATL and was in the training department for many years. He's a member of DGW. He and Bernadette live at 9965 Huntcliffe Trace, Sandy Springs, GA 30350-2717. Bernie Richards called me late yesterday advising that her husband John died (Sunday evening if I recall). St Andrews Catholic Church will be the site for services. I believe I have all the above correct.